Celebrities have spent the last days of 2016 on vacation abroad. While some chose Japan, there are still a lot of local celebs who picked Hong Kong as the prime holiday destination. See their exciting HK adventures here! The TV personality goofed around in Hong Kong with her husband former DILG secretary Mar Roxas. She also snapped a selfie with some Pinays in Hong Kong. 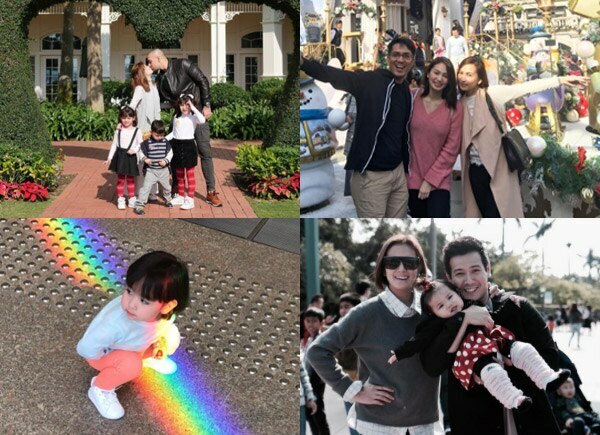 Doug Kramer, Cheska Garcia and their children Kendra, Scarlet and Gavin spent their holidays in Hong Kong Disneyland. The Banana Sundae mainstay discovered the delicious food and rich culture of Hong Kong. Doctor to the Stars Vicki Belo with her baby Scarlet Snow enjoyed the huge and colorful displays in Hong Kong. The sweet couple brought their baby Feather to Hong Kong Disneyland.